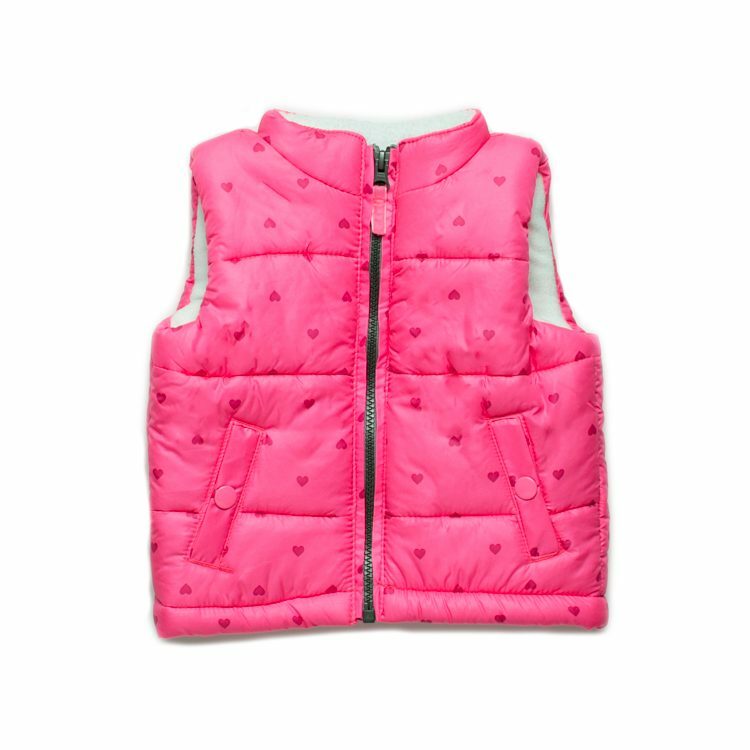 Fluro pink puffer vest with heart print. Photograph does not depict true colour. 100% polyester shell, lining and vest fill.